Are you looking for a safe, clean place to leave your dog while you travel? Are you worried your pet will not like being left in a cage? Check out our suites. Our suites are bright, airy and comfortable. 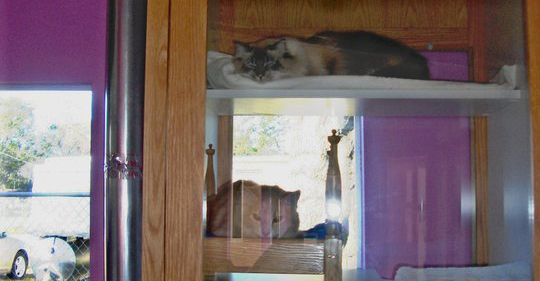 Each suite has its own doggie level window where your dog can sit on its bed and look out its own window. We have three different sizes of suites and have webcams in our large suites where you can watch you companion night and day while you are away. All boarding dogs enjoy the comfort of going outside on a regular schedule, 5 times/day. Dogs are allowed to individually stretch their legs in one of our 5 large exercise yards. 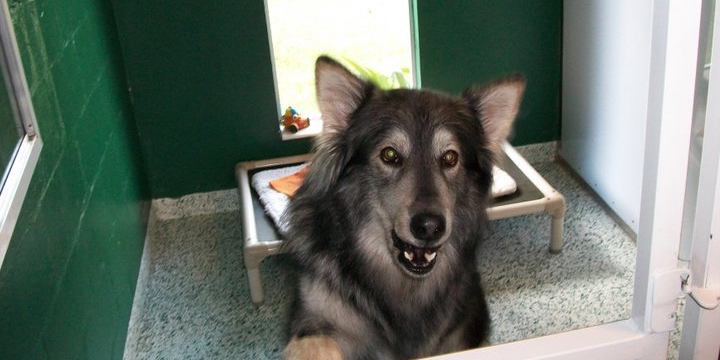 Our kennel area provides a safe, clean, comfortable boarding experience. Our kennel enclosures are on raised floors; meaning your dog will not be on the concrete floor. 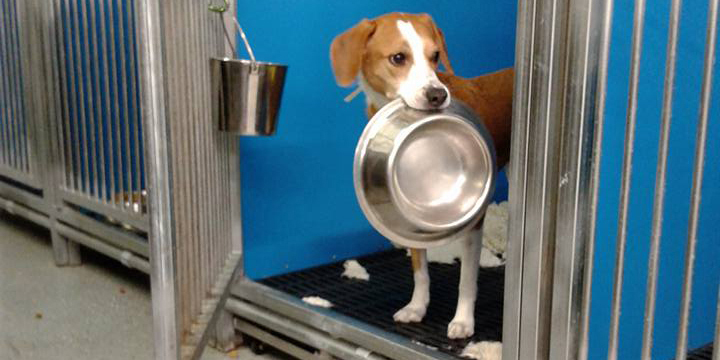 The enclosures have privacy panels and we provide bedding to make sure your dog is cozy, safe and secure.